Save AED 49 (56.32%) – Earn 4 Shukrans What is Shukran? Shukran is the Landmark Group’s award-winning loyalty programme in the Middle East, which allows you to earn Shukrans when you shop any of our brands. 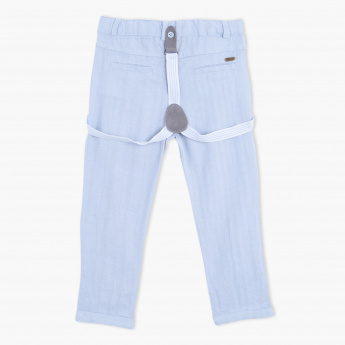 Become a fashionista where dressing your child is concerned with this dapper pair of full-length pants. 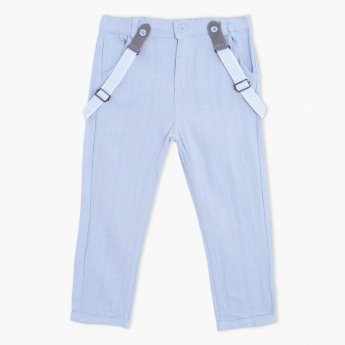 Fabricated from a textured material and teamed with braces, this pick is sure to make him stand out with flair.